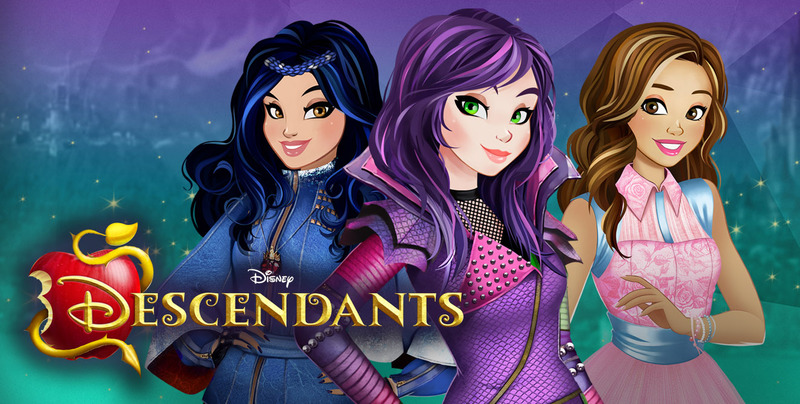 Descendants, the Official Mobile Game inspired by the hit movie on Disney Channel! Join Mal, Evie, Jay, Carlos and more of your favorite VKs and AKs for a wickedly fun adventure in the world of Descendants! 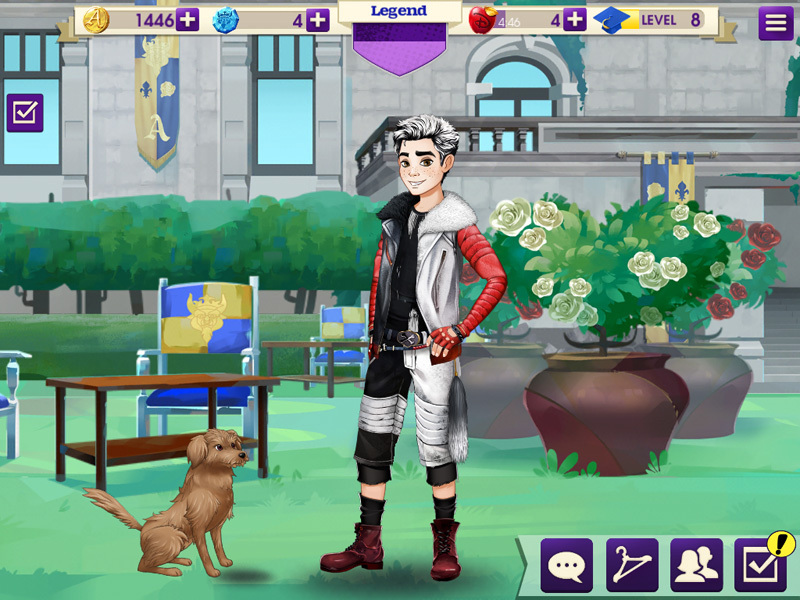 Create your own stylish avatar, discover magical quests and unlock new locations to become a legend at the prestigious Auradon Prep! A Wi-Fi connection is required the first time you download the game and 520 MB of free storage is required. 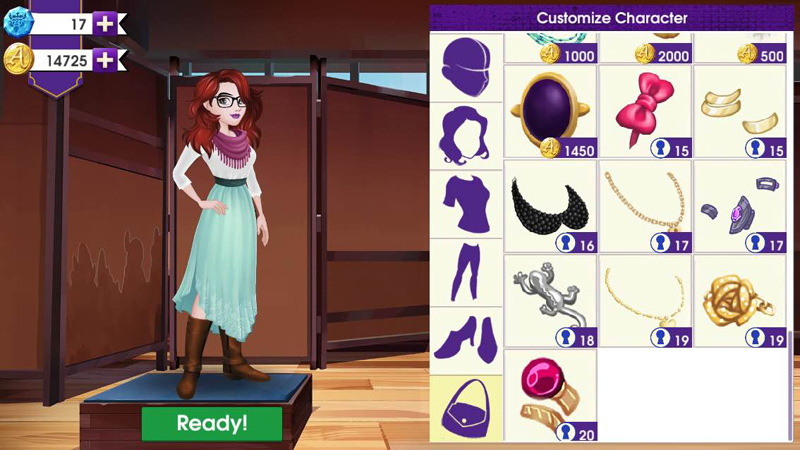 SHOW YOUR STYLE – Create your own unique character and stand out from the crowd with MILLIONS of fashionable combinations. Dress Auradon preppy or edgy isle, you decide! 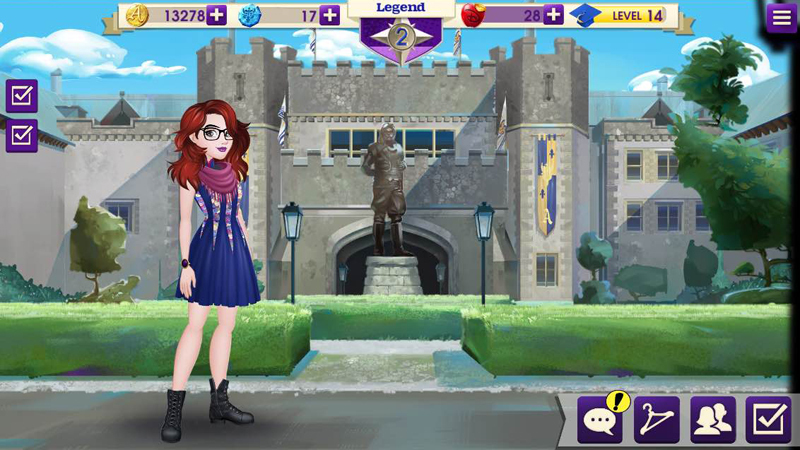 COMPLETE MISSIONS – Organize school parties with Mal, tailor costumes with Evie for a play, and unveil more exciting quests with the help of the coolest students at Auradon Prep! 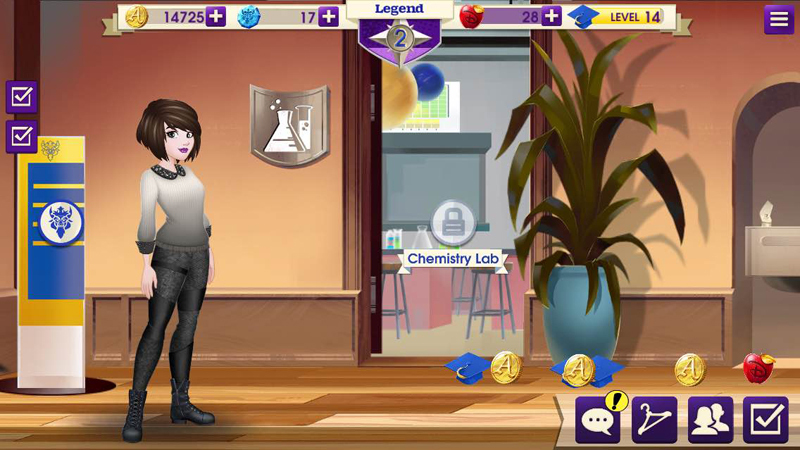 BE A LEGEND – Collect special rewards to raise your school spirit and grow your ‘Legendary’ status! EXPLORE AURADON – Ride on Ben’s scooter to travel between locations and uncover iconic areas such as the Tourney Field, Gallery of Villains, Carnival Grounds and many more! BUILD FRIENDSHIPS – Meet new Descendants to expand your contact list and form long-lasting friendships! Visit Facebook.com/DisneyGames for game tips, news and more!